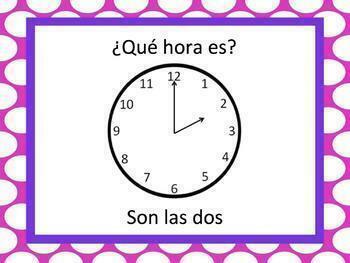 This is a powerpoint that teaches ¿qué hora es? 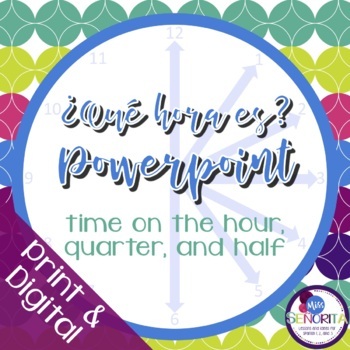 with time on the hour, quarter, and half hour. The powerpoint is saved as both .ppt and .pptx. The answers are all animated. 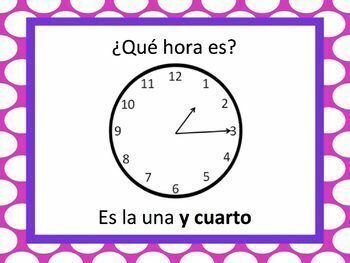 It is meant to elicit lots and lots of whole class repetition to learn all the vocabulary! 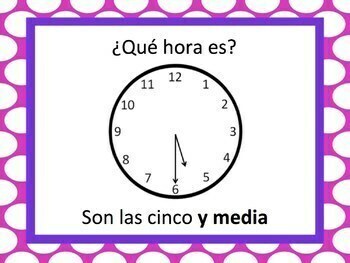 This powerpoint is included in my Spanish Time Lesson - on the hour, quarter, and half hour.